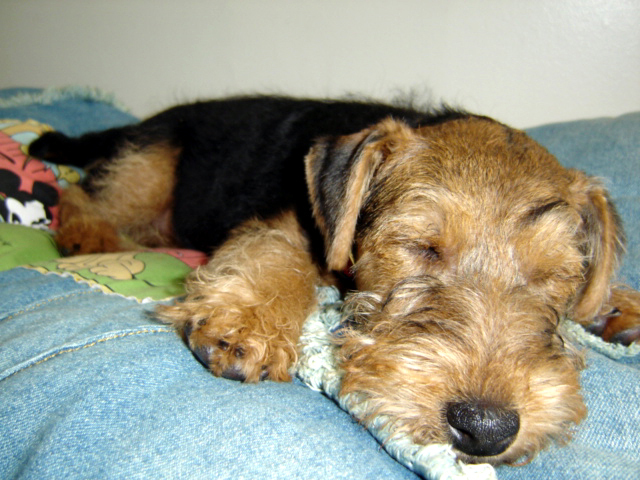 The Welsh Terrier is a medium-sized breed. Welsh Terriers are solid, proportional, and compact in build, but their square body and long legs allow them to move gracefully. 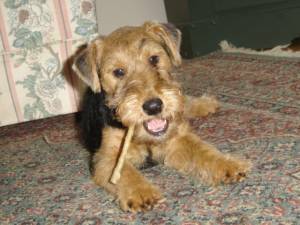 Welsh Terrier dogs have rectangular heads with dark brown, wide-set, almond shaped eyes. 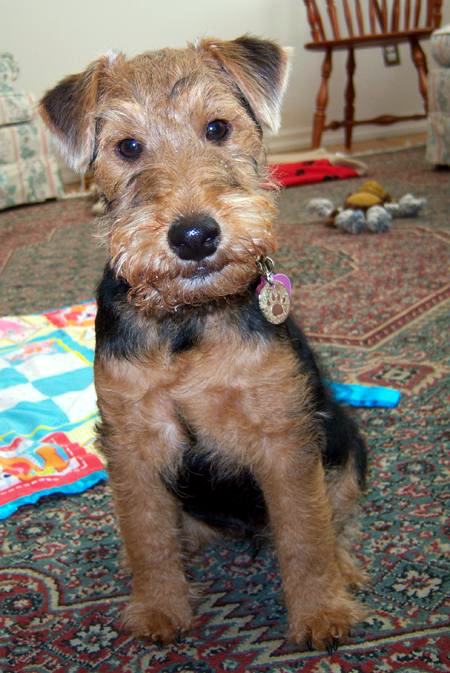 A Welsh Terrier’s alert eyes and triangular ears give off a confident expression. Their strong skull is flat between the ears and slightly more narrow in the front than the back. 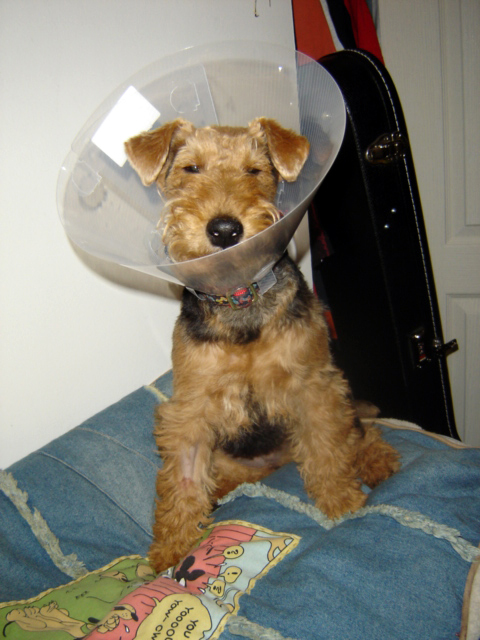 Welsh Terriers have powerful jaws, large teeth, and a black square-shaped nose. 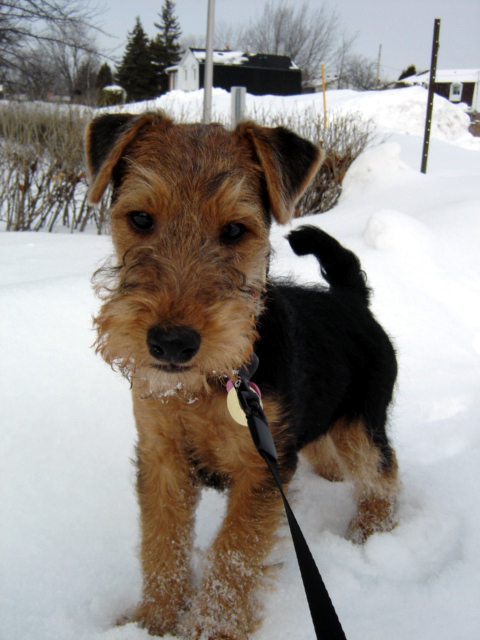 The double coat on a Welsh Terrier is made up of a soft, short undercoat and a coarse, wire-haired outer coat. The coarse outer coat protects them while hunting outdoors. 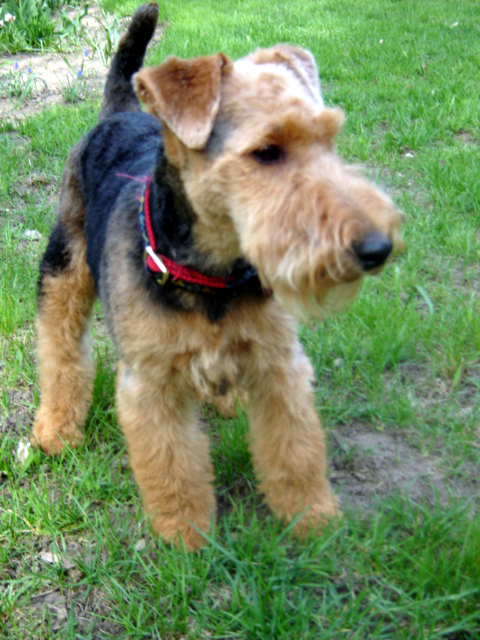 Welsh Terrier dogs have black coloring on their midsection, neck, tail, and upper thighs, and the rest of the body is tan. 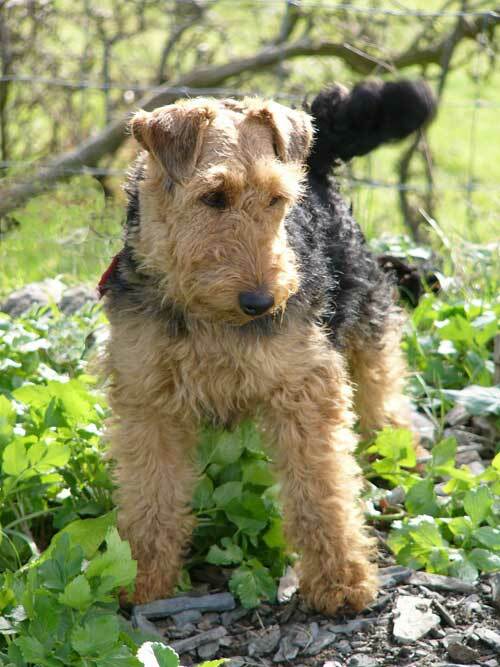 You’ll see a lot of the typical Terrier characteristics in Welsh Terriers, along with some unique to this breed. They’re friendly and playful with humans and other dogs, but thanks to their history hunting vermin, they have a tendency to stalk cats or other small animals. 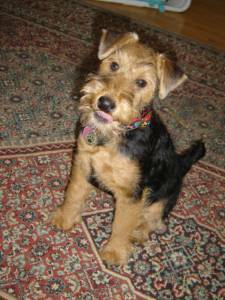 To combat any predisposition to aggression, make sure to socialize and train your Welsh Terrier puppy early on. Welsh Terriers are both independent and intelligent, so you’ll need to provide confident, consistent training throughout their life to remind the pup who’s in charge! 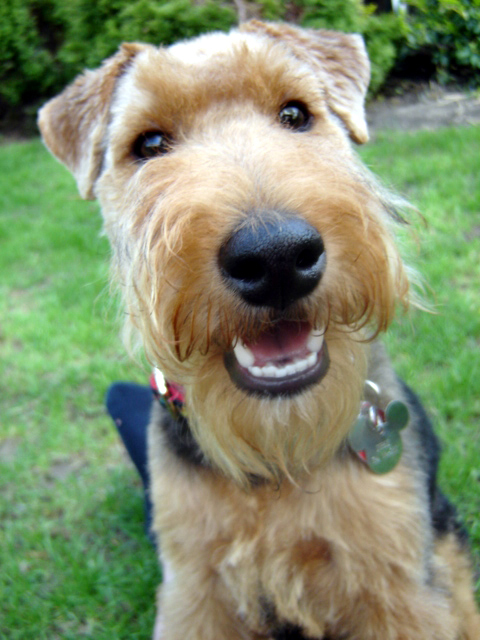 Welsh Terriers can become chatty when they’re bored — so if your dog is barking more than normal, it’s possible they need more exercise or playtime! 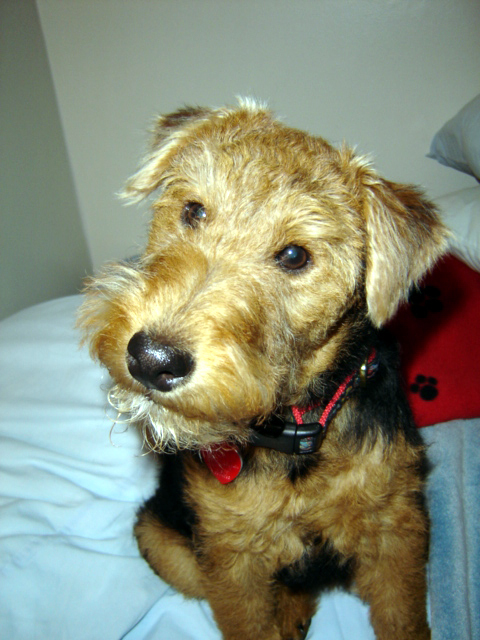 Interested in learning more about Welsh Terriers?CLICK HERE!